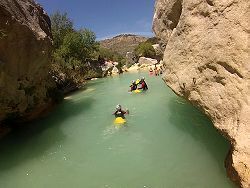 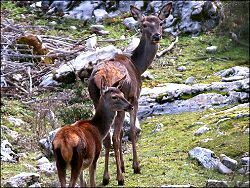 The Sierras de Cazorla, Segura y Las Villas Natural Park was established in 1989 and at just over 2,000 sq km, is the largest protected area in Spain, and one of the largest in Europe. 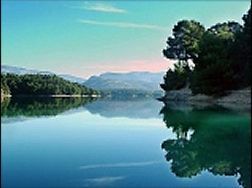 The landscape is one of dolomitic limestone with peaks rising to just over 2100m and a large number of caves, and pine forests on the lower levels. 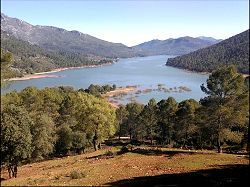 The park contains several lakes or reservoirs, including Embalse del Tranco de Beas, San Clemente, El Portillo, and Bolera, while two of Spain's most important rivers, the Guadalquivir (which flows to the sea via Seville) and the Segura (which flows to the sea via Murcia) have their source within the park. 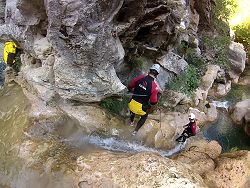 There are also many smaller rivers that can be fast flowing or produce impressive waterfalls, or pass through narrow gorges, fed by the relatively high rainfall of the area. 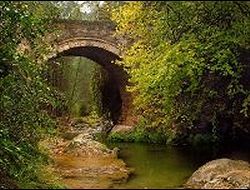 The park is popular with tourists, particularly in the south, and there are plenty of oportunities for outdoor activities including walking, canoeing, and birdwatching. 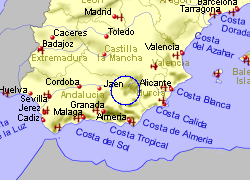 The park's main visitor centre and museum is located at Torre de Vinagre, approximately 25Km north east of Cazorla. 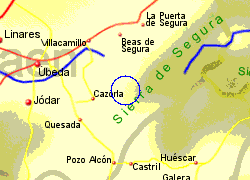 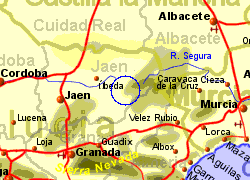 Map of the Cazorla Natural Park area.